On 19th October 2018, we held our second “Education for the Soul” Conference. The theme for this year’s conference was, “Creating new narratives for the school leader’s journey”. Perhaps not your everyday common theme for a school leader’s conference, but if there is one thing we are certain about at Integrity, it’s that we are not going to follow the standard, traditional format for our conferences. Keeping our foot on the peddle, staying busy, only seeks to crowd out that which is truly important. Very often, individuals push harder and harder because of either an internal or external narrative (very often it is both) that says it would be fool hardy to do otherwise. We, at Integrity, know different! Therefore, it was our aim through keynotes and workshops to enable school leaders to stop, think and reflect anew about who they are. We wanted them to consider ways in which they could challenge the prevailing education narrative of competition, scarcity and lack and instead create new, more empowering ones. Narratives that could hold true to the tenets within Rosa Parks’ statement. With this as his starting point, Geoff helped us to see that it is through our stories that we develop a sense of connection to ourselves, others and society as a whole. When we have a greater understanding of our own narratives, plots, storylines and either their empowering or disabling themes, we as educators become more able to, “see in others, beyond what they see in themselves.” This was a central theme that stayed with delegates throughout the day and was re-visited in informal discussions over coffee and during our workshops. For some, these workshops, helped to further embed or extend previous areas of knowledge, for others they created significant shifts in their thinking, as illustrated by quotes from some of the workshop attendees. The conference was closed by story-teller extraordinaire, Jan Blake; demonstrating prefect mastery of wit, humour and imagination, attendees were held completely spellbound as Jan used story, magic and metaphor, to deepen our connections to our own stories and the task of leadership. Jan retold the Norwegian folk tale “The Ash Lad and his Good Helpers.” The Ash Lad is considered by his peers, to be unworthy or incapable of any great feat. However, through a combination of kindness, courage, self-belief and humility he goes onto prove that he is capable of achieving far more than others had ever thought possible. With great skill and eloquence, Jan helped attendees to see the parallels between their own leadership stories and the story of “The Ash Lad.” Where others had failed, he had succeeded and all because he refused to believe the stories that others held true for him. Instead, he held true to his own core sense of who he really was and when the time was right, let that be seen by others. He gathered individuals around him, each with unique gifts and talents who could support him in his quest and at each stage of his quest deployed their skills wisely. By the time Jan has finished her tale, not only was there a shared sense within the room of what it really means to be a leader, there was also a collective acceptance, that leaders come in all shapes and sizes. Conformity does not lead to greatness in self or others. True leadership lies in accepting and embracing our own individuality and the unique difference we make to the education landscape. When the conference came to an end, there was a genuine feeling that something that had been seeded at our Inaugural conference had begun to sprout. There was a sense of community and a coming together. In the absence of Ego, competition, data, comparison to other schools or OFSTED, real work could be done; work of depth, work of meaning, work of connection. A place had been created where school leaders could be nurtured and supported to maintain their ability to lead and inspire others. “Education for the Soul Conference” 2018 was a deeply humbling experience. 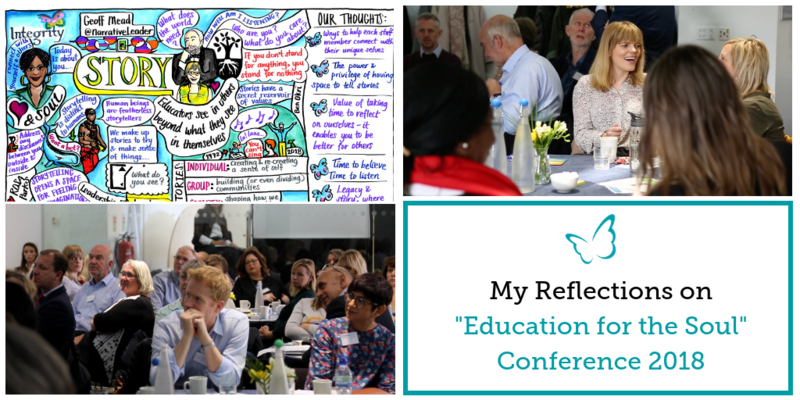 As school leaders from across the country joined with us to share experiences and engage with a range of deep and challenging questions that were posed throughout the day. Together we explored generative and sustainable ways of leading in education today. The feedback from the day was amazing. It was clear that the conference had provided a much needed ‘watering hole’ for the profession; with many attendees reporting that they had left the day feeling refreshed and re-energised. Following the success of this conference, I’m delighted to say that in October 2019, we will once again host Headteachers & School Leaders for this special conference. 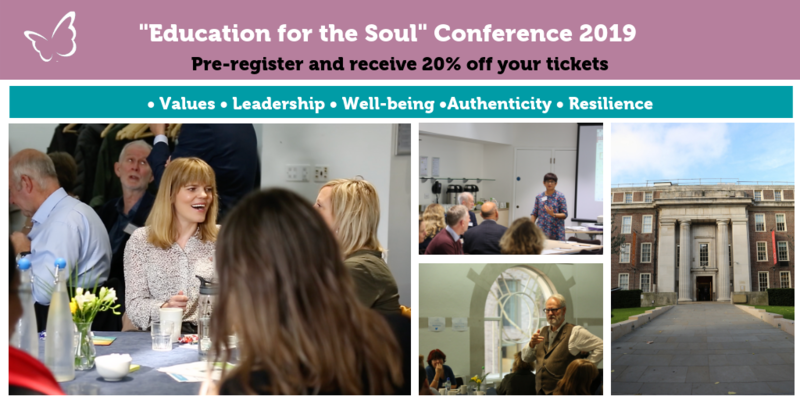 The conference will aim to build on the outcomes of “Education for the Soul” 2018 and seek to explore how school leaders and teachers can learn to lead with integrity, depth and purpose. As part of this, we will look into how individuals can stay connected to their “why” and the role coaching can play in helping those in education in create alignment with their deepest values. What can School Leaders learn from Martin Luther King?